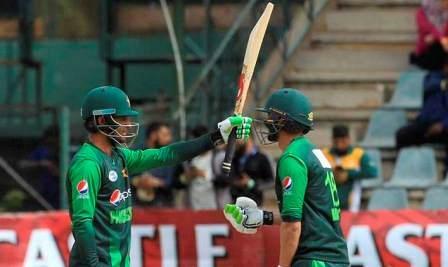 Pakistan carried on their form in the limited overs in the 4th ODI against Zimbabwe on Friday and scripted yet another big win over the hosts to take their lead to 4-0 in the series. Winning the toss first, Pakistan opted to bat first and with the help of a double ton from the opening batsman Fakhar Zaman, Pakistan went on to put together a total of 399 in the first innings. Coming down to chase 400, Zimbabwe never looked like in control and were bundled all out for 155, giving the visitors a 244-run victory. * Fakhar Zaman became the first Pakistan batsman to score a double century in ODIs.